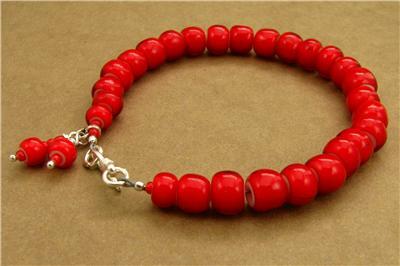 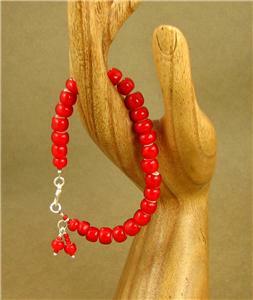 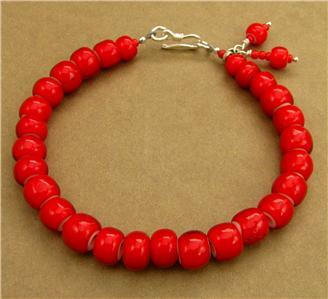 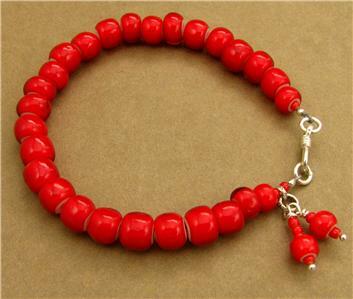 This is a striking bracelet made of African glass beads and silver. 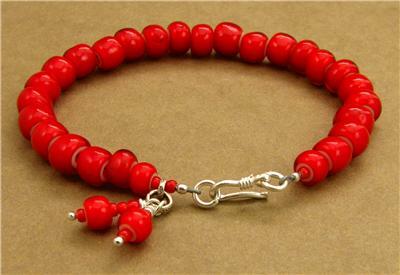 The glass beads are genuine handmade beads from Ghana. 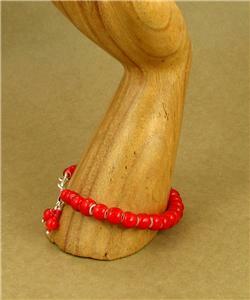 The catch is fine silver. 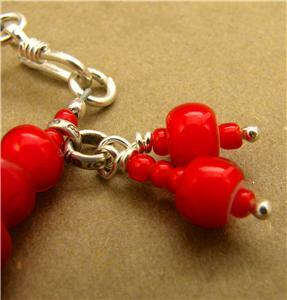 The finishing beads and the wire I used to make the dangling bit are all sterling silver.